You’ve seen its awe-inspiring look. You’ve heard its heart-revving sound. 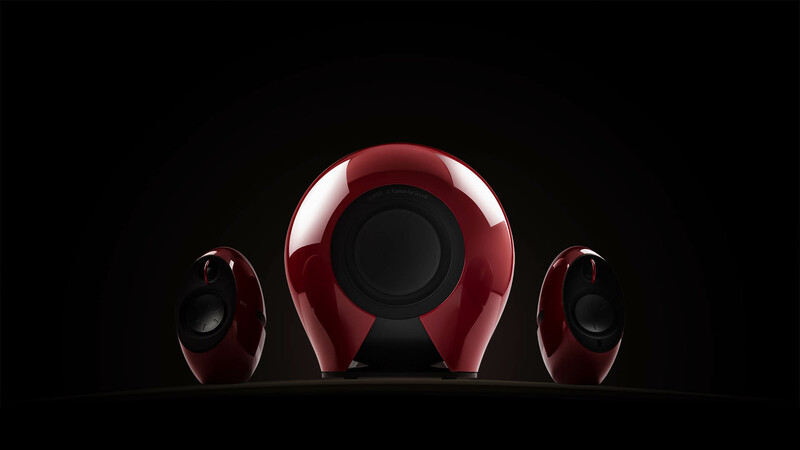 Now the roaring beauty of Luna Eclipse just got bolder and better, with the addition of a dedicated subwoofer. 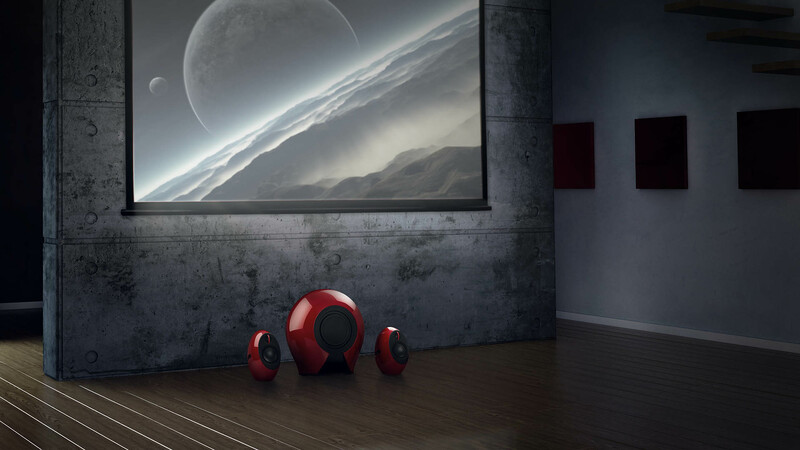 Meet the Luna E 2.1 sound system, named a 2015 CES Innovation Awards honouree. The improved Luna E continues its predecessor’s distinct design and brilliant engineering. Each satellite features a 3” midrange driver with reinforced polypropylene diaphragm and a ¾” silk-domed tweeter. The midrange and the tweeter are driven separately by dedicated amplifiers with DSP-based electronic crossovers and dynamic range control. For enhanced bass performance, each satellite is also equipped with twin passive radiators. The centrepiece of this powerful system is the subwoofer, connected wirelessly via the enhanced Bluetooth 4.0 platform. The result is more authentic, honest sound with less loss. All speakers have dual layer housing for superior acoustic sound dampening. Together, this beast of a system delivers 234 watts of impressive power. Connecting to Luna E is simple. In addition to Bluetooth, the optical and the 3.5mm AUX IN connections are conveniently located at the back of the active speaker. The system can be controlled by either the touch sensitive buttons on the active speaker or the included IR remote. You can effortlessly adjust volume, track navigation, Bluetooth and subwoofer pairing. The prestigious CES Innovation Awards are sponsored by the Consumer Electronics Association (CEA), the producer of the International CES, the global gathering place for all who thrive on the business of consumer technology. The association has been recognizing achievements in product design and engineering since 1976. Entries are evaluated on their engineering, aesthetic and design qualities, intended use/function and user value, how the design and innovation of the product directly compares to other products in the marketplace and unique/novel features. Products chosen as CES Innovation honourees reflect innovative design and engineering in some of the most cutting edge tech products and services coming to market. Luna E will be displayed at the 2015 International CES, which runs Jan. 6-9, 2015, in Las Vegas, Nevada. Edifier’s booth is located at Tech East, LVCC, South Halls 1 – 2, Ground Level, Booth # 21048.
honourees will also be displayed at CES Unveiled New York, which features dozens of exhibitors and networking opportunities, and runs 4:30-7:30 PM, November 11 at the Metropolitan Pavilion, New York.